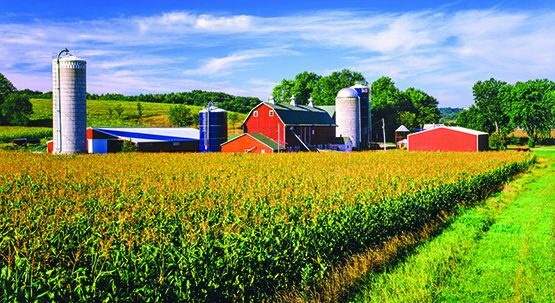 Minnesota’s Corporate Farm Law begins with a general prohibition of farming and farm ownership by any “corporation, limited liability company, pension or investment fund, trust, or limited partnership.” The law contains several exceptions, which allow families and small groups of owners to hold farmland in business entities and trusts. “Grandfathered” entities: corporations holding farmland prior to May 20, 1973, limited partnerships with farmland prior to May 1, 1988 and trusts holding farmland prior to May 16, 2000 are not subject to corporate farm law. Other types of entities can only own land if they meet certain requirements and file annual reports with the Minnesota Department of Agriculture. The most common are family farm entities and authorized entities. The most common type of farm entity permitted under the corporate farm law are “family farm” entities. These include family farm corporations, family farm limited partnerships (including both limited partnerships (LPs) and limited liability limited partnerships (LLLPs), family farm limited liability companies (LLCs). A majority of the owners must be persons or spouses of persons related within the third degree of kinship (i.e., first cousins), and/or family farm trusts (discussed in more detail below). None of the owners can be a corporation. Family farm corporations must have at least one related shareholder who is living on the farm or actively operating the farm. Family farm limited partnerships and LLCs may qualify if they have one shareholder living on or actively operating the farm, or if one of the related partners or members owned the land at least five years prior to transferring it to the entity. Otherwise, a majority of the trust’s current beneficiaries must be persons or spouses of persons within the third degree of kinship (first cousins), and all of the beneficiaries must be individuals, non-profits and/or other family farm trusts. For trusts other than charitable remainder and charitable lead trusts, either a family member who is a current beneficiary must live on or actively operate the farm, or the trust must lease the land to an individual, family farm entity or authorized entity (described below). The second most common type of permitted farm-owning entity is authorized entities, which include authorized farm corporations, authorized farm limited partnerships (including LPs and LLLPs), authorized farm limited liability companies, and authorized livestock corporations. The owners of these businesses do not have to be related, but there are limitations on the number of shareholders and the amount of land they can own. They may not own more than 1,500 acres, and there are rules to prevent owners from circumventing this limit by creating multiple entities. There can be no more than five shareholders, though married couples are counted as one owner. All owners must be individuals or family farm trusts. Owners owning 51% of the entity must live on the farm or be actively engaged in farming. The entity’s revenue from rent, royalties, dividends, interest, and annuities does not exceed 20 percent of its gross receipts. Authorized livestock corporations have the same requirements as authorized farm corporations, except owners owning at least 75% of the corporation must be farmers, and 51% must be actively engaged in livestock production. 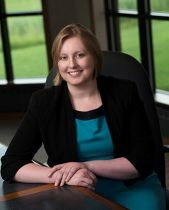 Every entity that owns farmland, other than those described above as completely exempt, must file a Corporate Farm Application with the Minnesota Department of Agriculture, explaining how it qualifies as a family farm entity, authorized entity, or is permitted to own farmland under another exception to the law. There is a $15 filing fee. Entities must also file annual renewals, no later than April 15th each year. The Department sends renewal forms to registered entities in January or February of each year. A person responsible for the entity must use the form to update any changes in the ownership of the business entity or any additional land acquired by the entity. An annual $15 filing fee is required whether or not there are any changes to report. Under the corporate farm statute, failure to file a required corporate farm report is a gross misdemeanor and can be punished with a $500 civil penalty. The Attorney General may also seek a court order to force a non-complying business entity or trust to divest itself of all ownership in agricultural real estate within five years. In practice, these enforcement mechanisms are rarely, if ever, used. While the Minnesota Department of Agriculture has been forgiving of missed filings, the Minnesota Department of Revenue is also now involved in the corporate farm report process, and there is little to suggest it will be as lenient. Some counties will deny agricultural homestead property tax classification until a landowning entity is registered with the Department of Agriculture. Also, Minnesota Revenue requires heirs to prove that a business entity owning farmland complied with the corporate farm law in order to qualify for the Farm Property Deduction from Minnesota Estate Tax. If you own land in a business entity and that entity does not meet one of the complete exemptions from corporate farm law, file a Corporate Farm Application as soon as possible. If your entity is already registered with the Department of Agriculture, make sure you file your annual renewal by April 15th.